The River Village Manor, Siem Reap’s most charming Guesthouse; Breakfast included, offering one of the best breakfast in town. Our lovely three-story guesthouse is located on the Siem Reap River, and is an easy 20-minute walk or 5-minute tuk-tuk ride along the tree-lined river into town, or a short 20-minute drive to Angkor Wat. Why not borrow one of our FREE bicycle? its a great way to view Siem Reap and the Temples of Angkor. We have 10 spacious ensuite rooms for you to choose from. Each one includes an en-suite bathroom, individual air conditioning, cable television, new 32″ flat-screen TVs, free FAST Wi-Fi and our famous complimentary full breakfast. All rooms are beautifully designed with original Khmer features which have been well maintained over the years, making River Village Manor unique and arguably one of the best preserved Guesthouse in Siem Reap. Siem Reap as a wonderful, rewarding place to reside, and we’ll happily assist you with whatever you need to make your visit unforgettable. With our combined experience in the hospitality business, and a love of meeting new people we’ll help you make the most of your time in Siem Reap. Short Description: The River Village Manor, Siem Reap’s most charming Guesthouse; Breakfast included, offering one of the best breakfast in town. 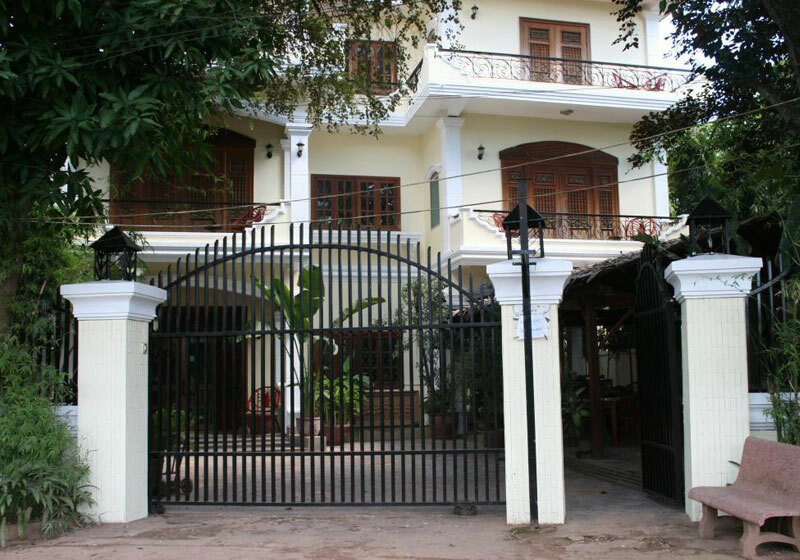 Our lovely three-story guesthouse is located on the Siem Reap River, and is an easy 20-minute walk or 5-minute tuk-tuk ride along the tree-lined river into town, or a short 20-minute drive to Angkor Wat.